Fluffy, real goose feathers - approx. 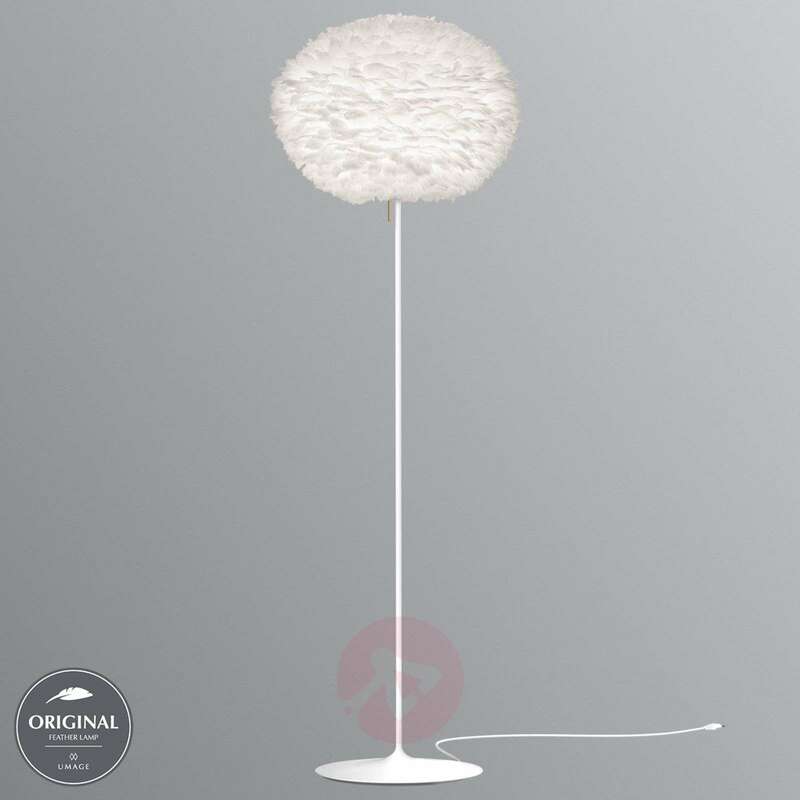 4,500 in total - adorn the lampshade of the floor lamp Eos. This not only looks decorative, but also produces a pleasant, soft lighting mood, making Eos large wonderfully suited for use as area lighting for the seating area in the living room, for example. The attractive lampshade, which was designed by Søren Ravn Christensen from the company UMAGE, has been combined with the linear and decidedly elegant floor stand Champagne, a design by the young, Danish designer Anders Klem, who is passionately dedicated to the development of modern lights. Under the light bulb socket is the switch which can be used to easily turn the Eos large floor lamp on and off. It harmoniously rounds off the visual overall appearance due to its decorative brass finish. If the lampshade gets dusty, it can easily be cleaned using a hair dryer. The manufacturer of Eos large, UMAGE from Denmark, has dedicated itself to the further development of Scandinavian design in an effort to combine its beauty, purism and functionality and to supplement them with careful craftsmanship, taking environmental concerns into consideration.